Good morning! 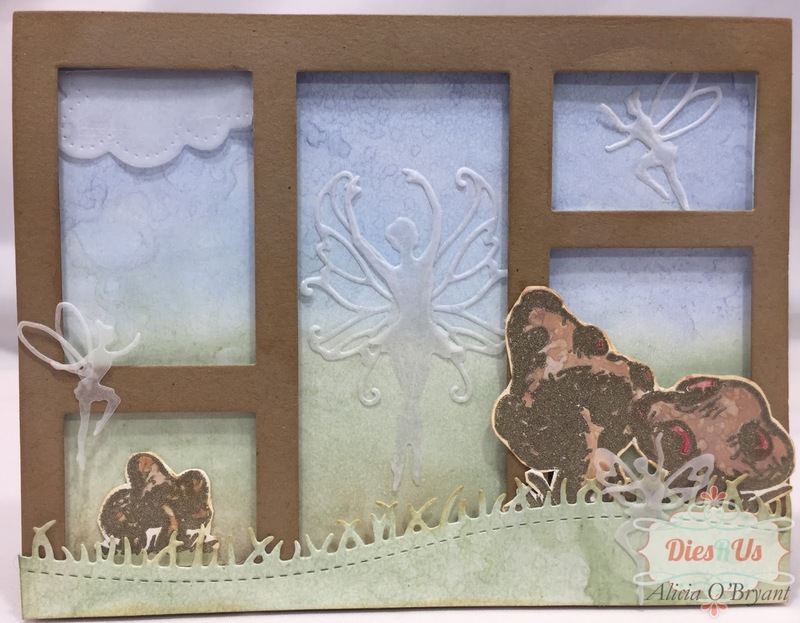 Alicia here today with a Playful Faerie card using several Poppystamps Faerie Die sets. I just love playing with these dies, there are so many combinations but on this card I decided to cut all my faeries out of vellum. I liked the whispy look with the water color background. To create this scene I first began with inking a background. I also inked an extra piece of 5.5" x 3"ish piece for the grass layer that I would later die cut. 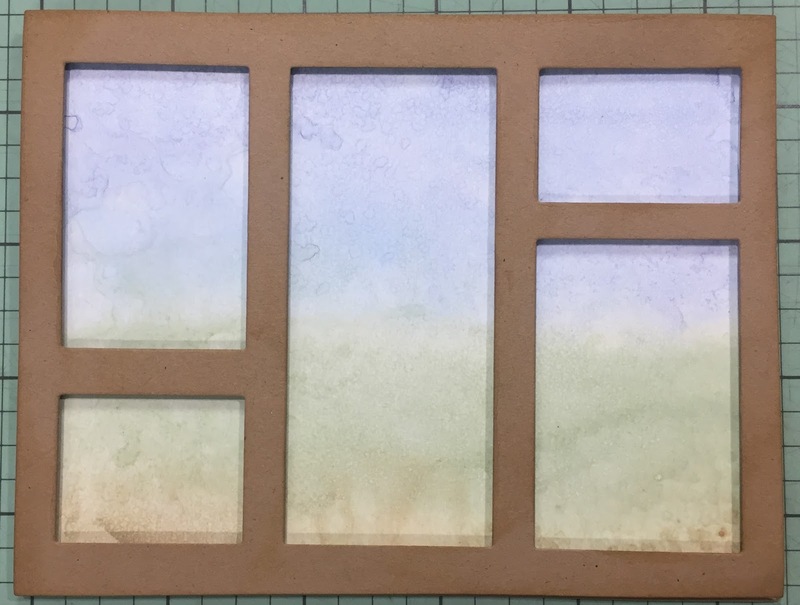 I used lots of water on the ink so I used my heat gun to dry it a bit and let it sit for a while until it was completely dry before die cutting. I die cut my kraft paper frame and adhered with pop dots. I then went about cutting, several faeries with wings out of vellum. 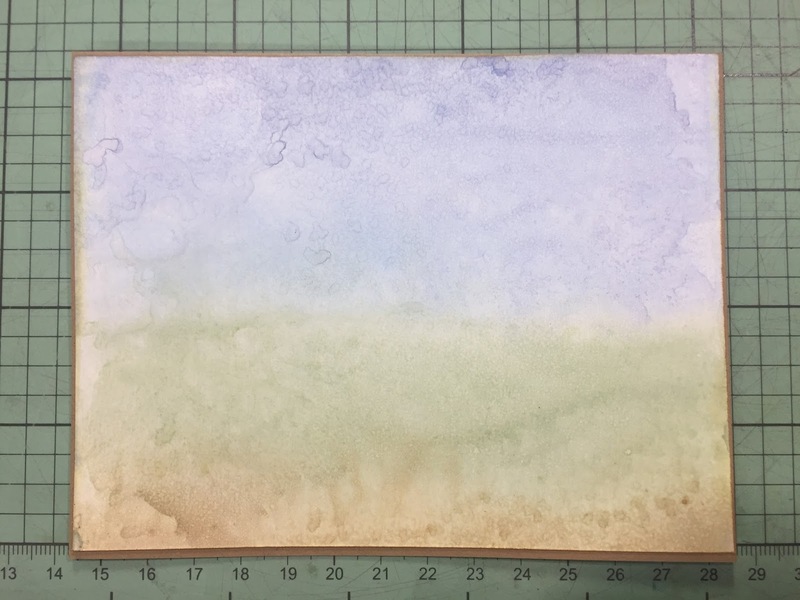 I also stamped, embossed then water colored my mushroom images. 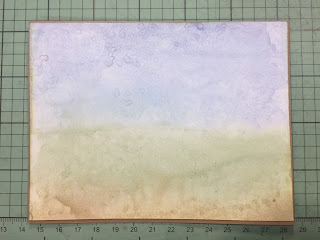 Oops, I almost forgot the vellum cloud! Then I went about adding the die cut pieces to my scene. Finally, I added a touch of clear shimmer pen to my faeries. 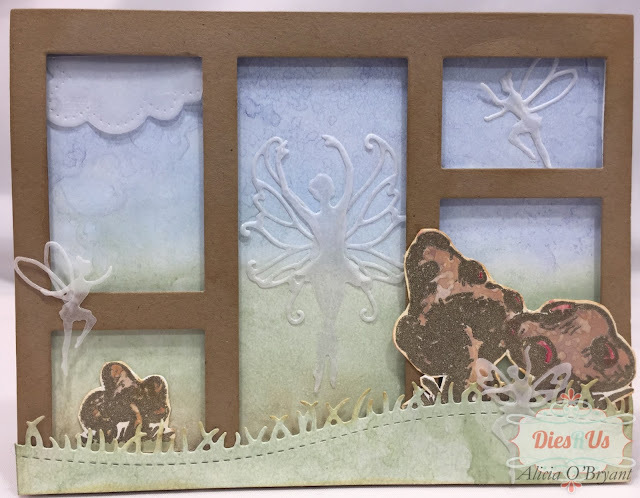 Cute card; love the vellum die cut fairies! The fairies cut from vellum give an illusive look to them. Love, love, LOVE this! 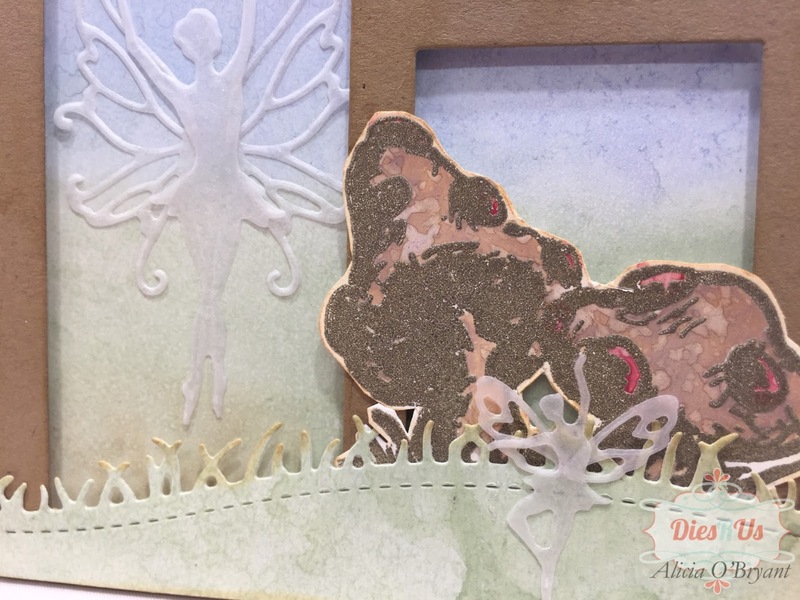 What a dreamy idea cutting the faeries from vellum. Just beautiful! WOW What a fabulous scene you have created! I LOVE the vellum fairies ... perfect! Thanks for amazing inspiration! Beautiful, Alicia! The vellum fairies are perfect in this scene. Really give it a whimsical feel.